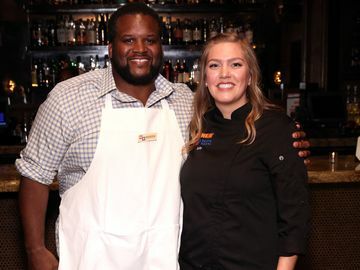 Looking for a fun way to delight Dad this Father’s Day? 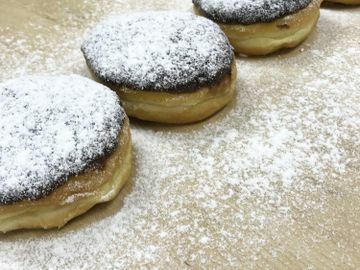 Surprise him with these donuts with a sweet twist! Tell Dad he is #1 or wish him a Happy Father’s Day using his favorite donuts. 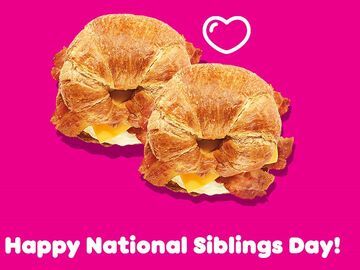 Start with Dad’s favorite donut – I went for Boston Kreme, but the new Vanilla Cake Batter or classics like Jelly work great too. 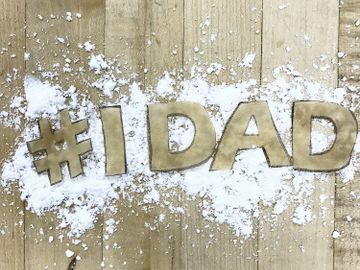 Then all you have to do is craft some DIY stencil letters, add powdered sugar and you are sure to make Dad’s day! 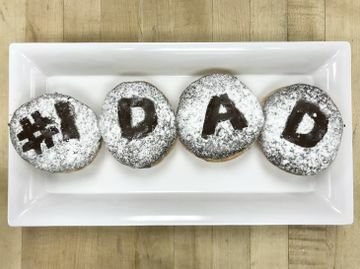 Check out my instructions for easy Father’s Day DIY donuts below! 1. On the parchment paper, write #1 DAD in bubble letters. You could also write Dad’s name, Happy Father’s Day or another special message! 2. Cut out the letters and flip each one over. 3. Spray the back side of the parchment paper with nonstick pan spray, then dab with a paper towel to remove the excess spray. 4. Place the first letter on a donut with the sticky side down and press lightly. 5. Dust the top of the donut with powdered sugar and then peel off the letter. 6. Repeat steps 3-5 for each letter until your message is complete. 7. 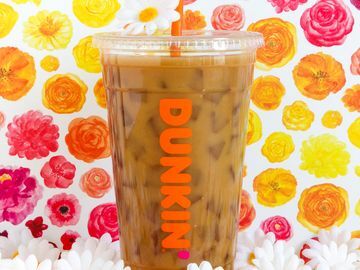 Share with Dad with his morning Dunkin’ Donuts coffee! No time to decorate donuts? No problem! Last minute shoppers know the quickest gift that is sure to delight is a fun and festive Dunkin’ Donuts Card. 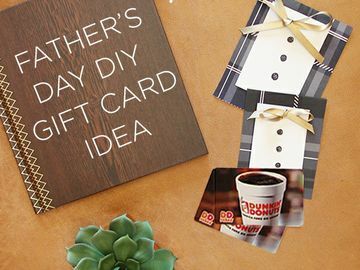 You can pick up a DD Card in store and dress it up just for Dad or send him a special Father’s Day digital DD Card instantly via text, email or through the Dunkin’ Mobile® App. 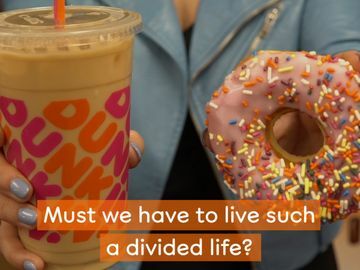 Learn more at DunkinDonuts.com. 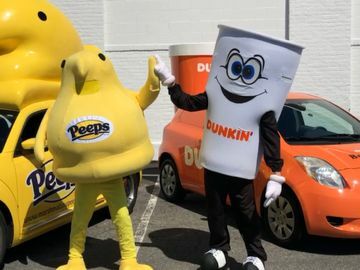 For the gift that keeps on giving, you can also give Dad a year’s supply of packaged Dunkin’ Donuts coffee or K-Cup pods to keep him running until Father’s Day next year! Learn more about our Regular Refills® subscriptions here. 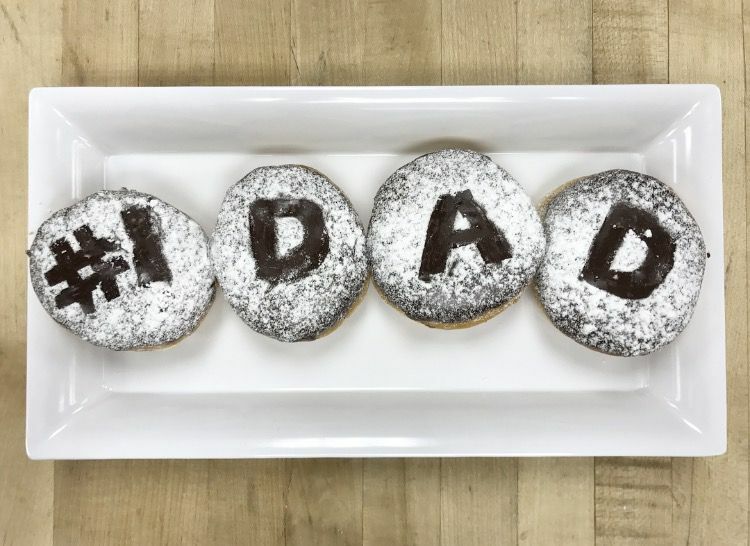 And be sure to share your Father’s Day DIY donuts on Facebook, Twitter and Instagram!